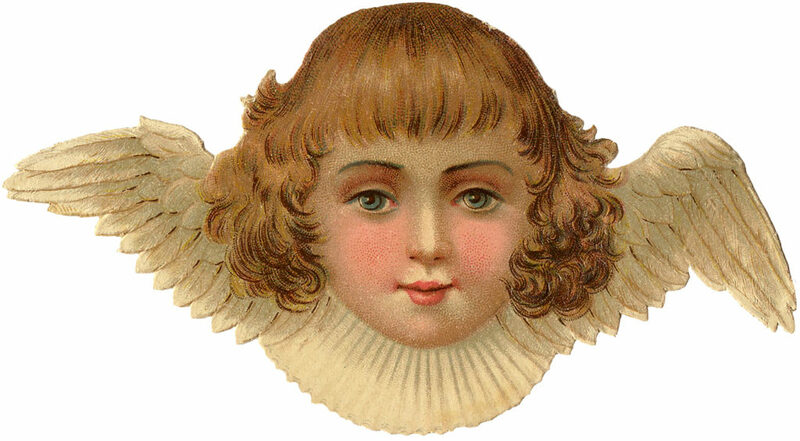 This is an adorable collection of sweet Cherub Angel Clip Art Images (almost like cherub angel cameo) that show just the upper portion of their heads and wings! They are quite interesting as they are all similar yet each is unique. Each one has its own expression, which depicts their personality. I suppose that the personality is subjective but I will ‘put my spin on it.’ My interpretation of the angels tells me that they are in heaven looking down upon us mortals…actually they just might be guardian Christmas angels chosen to provide a safe and joyous Christmas for the families that they oversee. 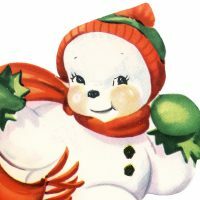 These sweet Vintage Images would be perfect to use in your Holiday (or any time) Crafts and Decor Projects, including Ornaments, Handmade Cards, Tags, and more. 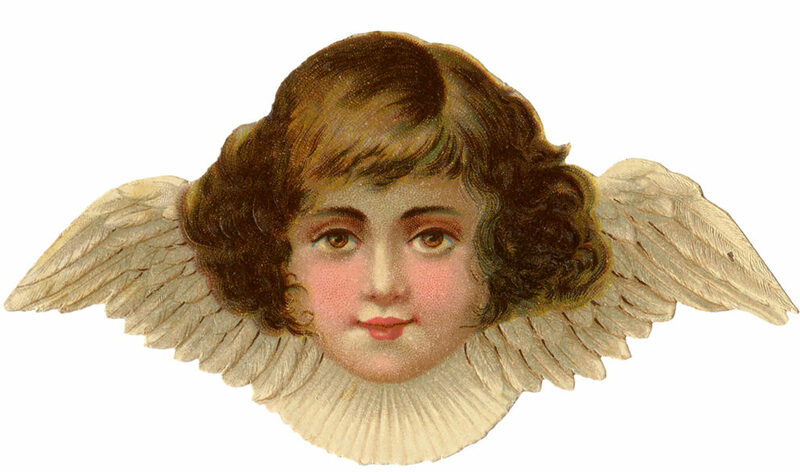 The first of our Cherub Angel Images has beautiful big amber eyes and curly brown hair with sideswept bangs. Her cream colored wings a spread beside her beautiful face. You see each feather in detail. She has a high creamy collar with pleats. she is content just to have the opportunity to watch over the Christmas festivities of the home she is looking after. She loves the decorations with all the pretty colors and decor. Her favorite is the Christmas tree with beautiful ornaments, lights, and icicles. She is the most artistic of the group. Our second Cherub Angel Image has beautiful big brown eyes and wavy blond hair with bangs. She has a sweet and kind face with chubby rose colored cheeks and the sweetest smile. Her beautiful wings are sort of pointed toward her right. She is probably very loving toward her fellow Cherub Angel’s and cares tremendously about wanting her chosen family to have their happiest Christmas ever. She has a ‘heart of gold’ indeed. This ginger haired Cherub Angel has bright blue eyes looking directly at you. Soft, choppy curls surround her rosy cheeks. A slightly puckered smile plays on her rosy lips. Her wings point slightly toward her left making this a great collection to frame and hang together. She has been given the special power to watch over a family with six children). The Cherub Angel’s job is to maintain enough calm and direction to make sure that everything runs smoothly in the certain mayhem! And, of course she does so. I will add that she has the most beautiful blue eyes, doesn’t she?! 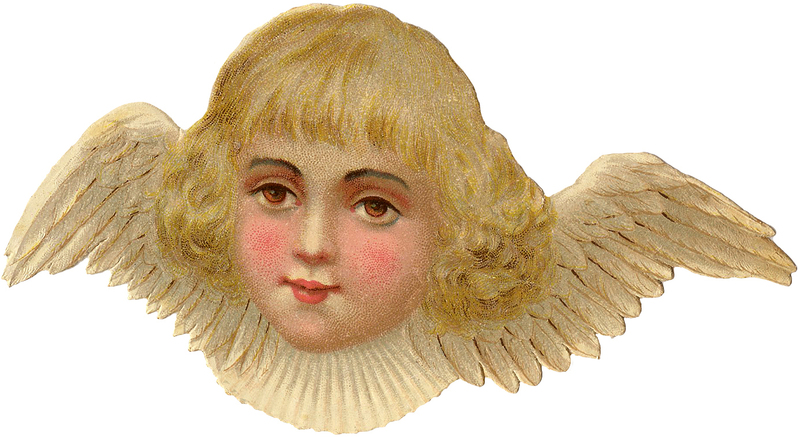 Winding up our 4 Sweet Cherub Angel Images is a very nice Victorian Scrap piece! It is actually a fairly common scrap, so you may have seen this darling Cherub before, I’ve always loved this one though, so I was glad when I finally acquired him a while back. I love that he’s hanging out on a fluffy Cloud! His wings are red and green, which should work well in your Holiday Craft Projects! 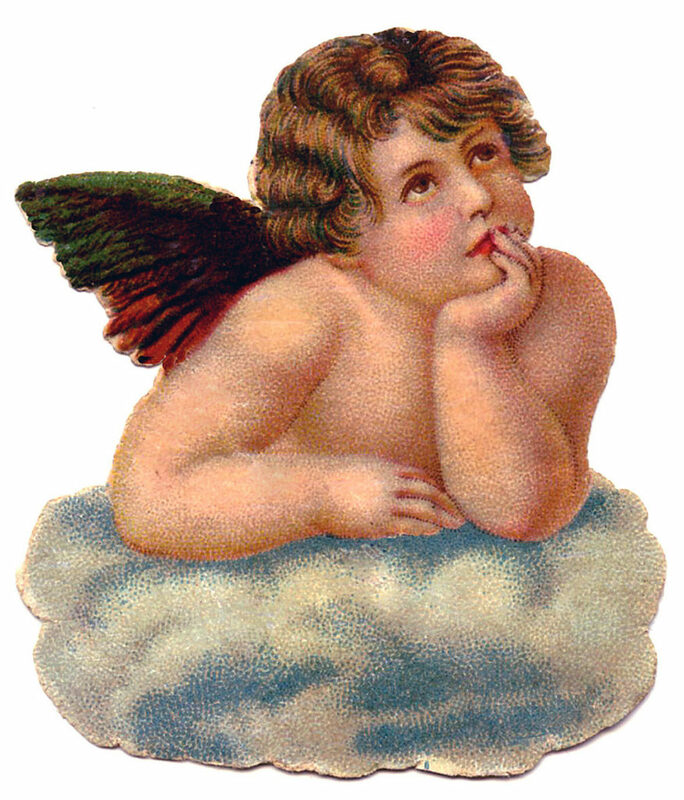 I hope you enjoyed this very sweet collection of Pictures of delightful Cherub Angel Clip Art Pictures. 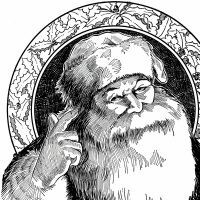 You might also like our Best Christmas Images Collection HERE. « 10 Vintage Christmas Dog Images! I love this cherub! So sweet looking resting on his own cloud.